Simba Information is arguably the authority for market intelligence in the media and publishing industries. On August 22, the company released its "Trade E-Book Publishing 2012" report, which provides a full "phychographic analysis" that profiles ebook user habits. From how much money ebook users spend on digital titles to their gender, age, household income, education level and more, this report has it all. Perhaps the most astonishing finding of this report is that approximately 24.5% of U.S. adults consider themselves to be ebook users -- an increase of 17.2% from the previous year. Interestingly, the report also finds that a quarter of ebook users have not purchased an ebook in the past year. Maybe these ebook readers have plenty of ways in which to source free ebooks? The report suggests the success of erotica trilogy Fifty Shades of Grey might be a contributing factor to the considerable increase in ebook usage in the U.S. Indeed, as of August 21, 2012, the three books have sold more than 25 million copies in that country, with the sales split nearly evenly between physical and digital versions. Further worthy of note about this report is that it is based on U.S.-only data collection from consumers over July and August 2012. In terms of e-reading devices, it profiles Barnes & Noble's Nook series, various smartphones (including the iPhone), Amazon's Kindle series, Apple's iPad and others. 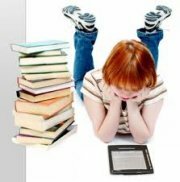 According to this report, a very large group of iPad owners are not ebook users at all. This suggests there is still much room for growth, particularly when one takes into consideration the fact that in the world of tablets as an e-reading device, the iPad had occupied 68% of the market share in the first quarter of 2012. In comparison, although Amazon's Kindle Fire was the No.1 e-reading device in that same quarter, surpassing Barnes & Noble's Nook and Sony's eBook Reader, it occupied only 4% of the tablet market share. The battle between multifunction tablets and dedicated e-readers thus continues -- it all depends on what consumers need when they read.